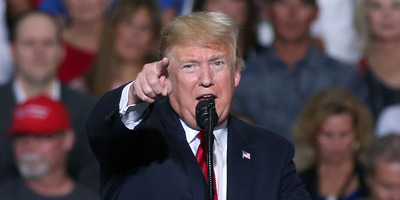 Trump has pointed to the growing popularity of Bernie Sanders’ “Medicare for All” plan as evidence of socialist influence in the party. “Let me say… let’s get to another subject: Fake News Democrats want to replace freedom with socialism,” trump claimed at a rally with Texas Sen. Ted Cruz. The report, which CEA Chair Kevin Hassett said on a call with reporters was necessary because socialism is “in the news,” purports to show the economic downside if the US were to shift to a more government-controlled economy. It did so by modelling expected GDP under what it portrayed as socialist systems, ranging from Venezuela to Nordic countries. “Modern journalists and analysts routinely claim that single-payer programs are more efficient – and thus are similar in spirit to Lenin and Mao, who justified government takeovers on the basis of the virtues of single-payer programs,” the report reads. The major subject of attack appears to be Sen. Bernie Sanders “Medicare for All” plan, which is becoming more popular with Democratic candidates. The plan, which is also gaining traction with many voters, would expand the current government-run Medicare program to all Americans. In addition, a growing number of Democratic candidates in the midterm have identified as democratic socialists, which generally means the candidate is most stringently in favour of a stronger social safety net and stricter oversight of corporations. Hassett declined to answer when asked how much the report cost to produce and deflected when asked why previous Democratic presidents – Bill Clinton and Barack Obama – did not turn the US into Venezuela. Trump’s push comes as Republicans look likely to lose control of the House in November and as Republicans try to close the enthusiasm gap with their base. More young people and Democrats, in particular, have warmed to socialist ideologies – 51% of people age 18 to 29 and 57% of Democrats have a positive view of socialism, according to a recent Gallup poll. But support among those groups has not dramatically increased since polling on the topic began in 2010. Also, what Americans define as socialism has changed dramatically. According to Gallup, a plurality (23%) of Americans consider equate socialism with “equal standing for everybody, all equal in rights, equal in distribution,” up from 12% in 1949. At the same time, 17% of people define socialism as government control of industries, down from 34% in 1949.